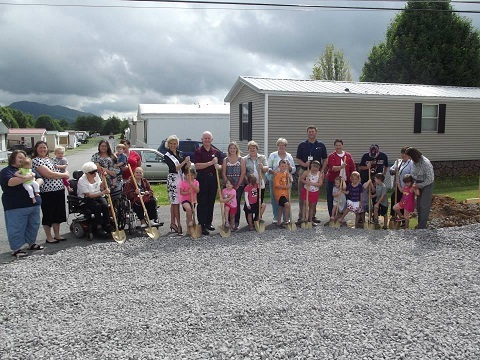 Appalachian Agency for Senior Citizens (AASC) has broken ground on a new child day care center at the Cedar Bluff location. Generations at Cedar Bluff provides preschool, as well as before- and after-school programs, all in an intergenerational atmosphere. Together, children and adults participate in special activities, including a pen pal program and a celebration of our Appalachian heritage. Generations integrates the wisdom and insight of the elderly with the energy and enthusiasm of the young. Intergenerational day care offers children the opportunity to take part in carefully selected, supervised activities with senior citizens. “AASC is excited to expand services in a new facility to offer our intergenerational programs to more children. With the addition of the new child day care facility we will be able to enlarge our AllCARE for Seniors Day Center and allow for more activities. This is truly a win-win for both programs” stated Regina Sayers, Executive Director of AASC.